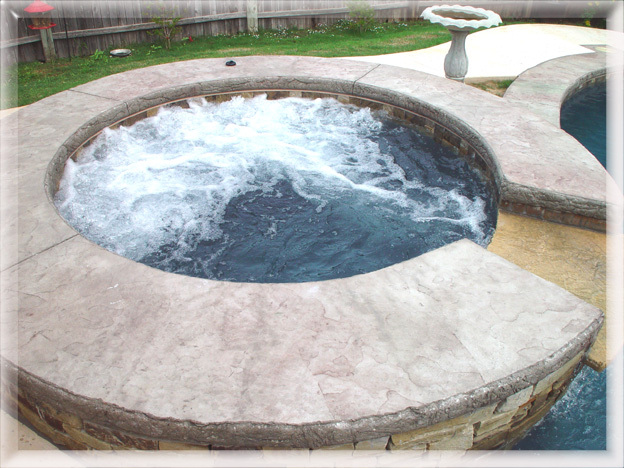 We construct some of the finest spas (Hot Tubs) in Oklahoma City. 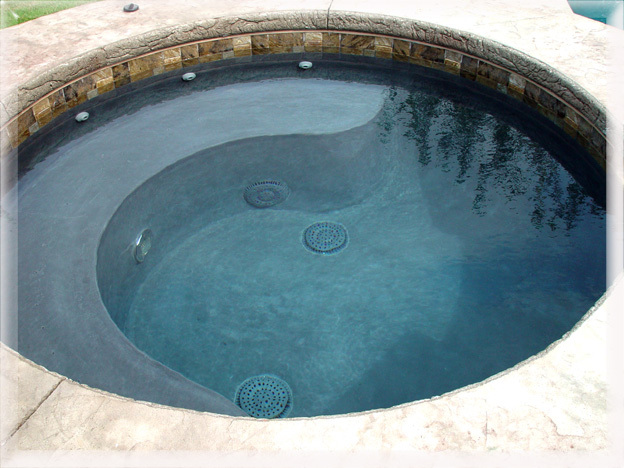 All of our hot tubs are raised above the pool for easy access. 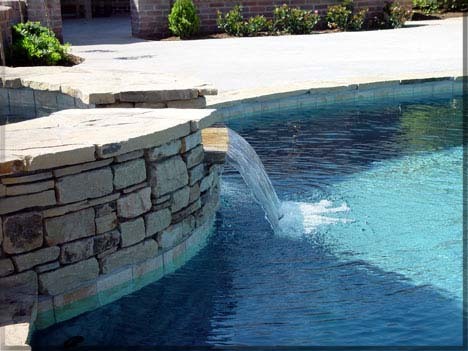 They include dedicated jet pump, air in the seat, venturi air on jets, underwater l.e.d. lighting and remote control. This tub was constructed in 1995. It is all tile and as you can see, very nice. 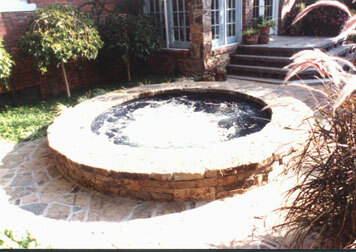 We built this 8 foot raised tub in 1985. It too is all tile. 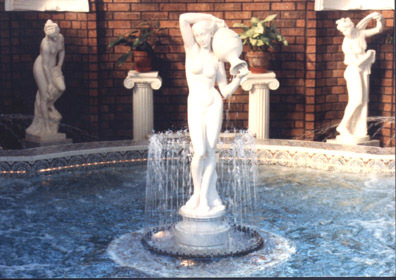 Here is another view of this round classic looker. 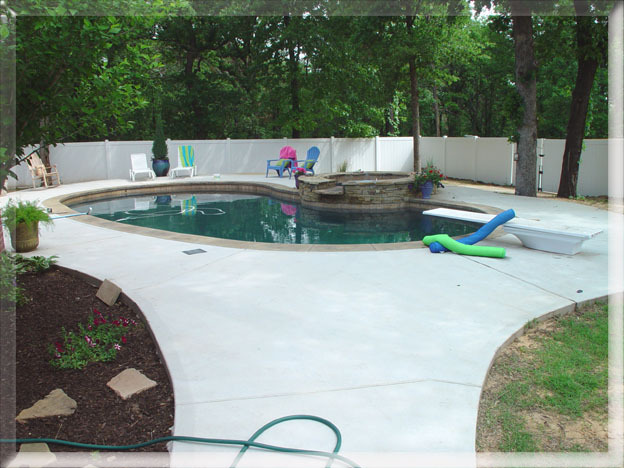 This one is in Mustang, Oklahoma and constructed in 2010 with stamped coping to match the pool. Here is a close-up look at the action of the 6 jets. This one was kind of a different story. It is in Amarillo, Texas. When I got to the job, it was a mess. The center column was 10" out of plumb. It took us 3 weeks to tile this all tile modern tub. 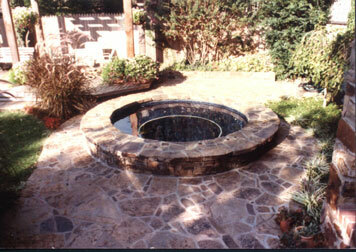 I installed "Tube Lights" in the grout line just above the water line and in the steps. 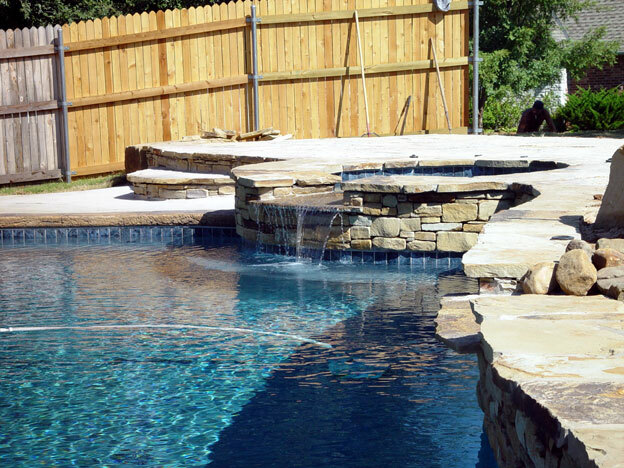 This 7 footer attached to a nice freeform pool in Edmond, Ok. 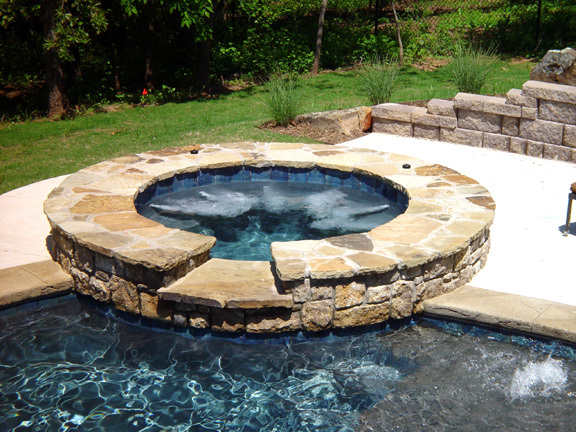 This 16' by 32' freeform pool is in Eastern Oklahoma City, built in 2009. 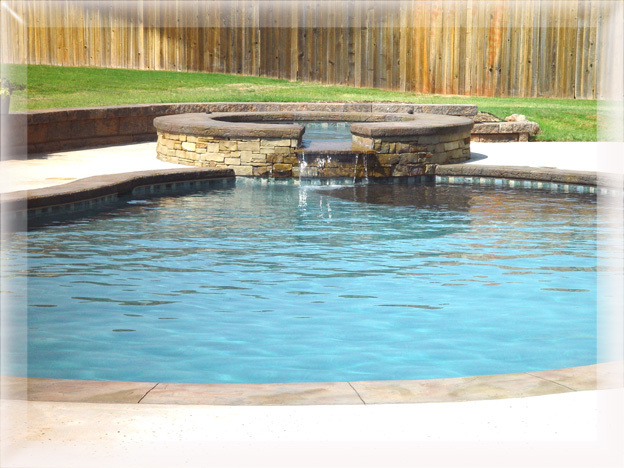 This one is in Quail Creek, North Oklahoma City. Notice the craftsmanship detail. Here it is with the seat bubbles going, pushed by a 2h.p. blower. 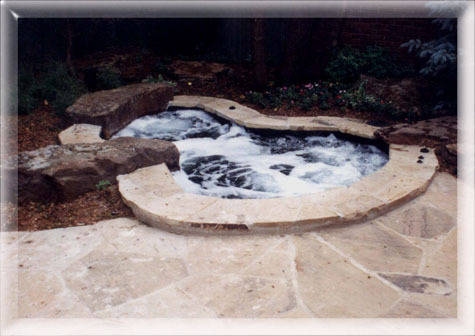 The above tub was constructed for a repete customer. 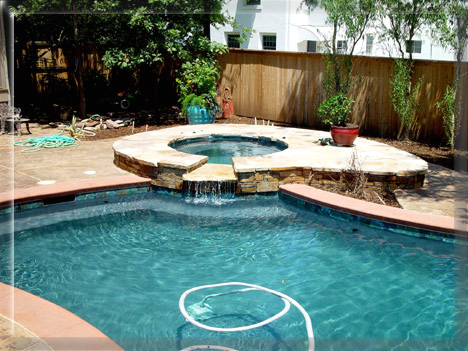 This is the second pool we built for this happy Edmond family. And so on and so forth, We have a bunch! 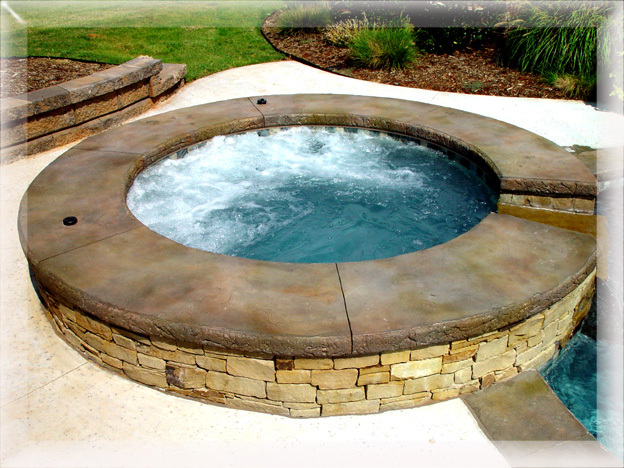 This oval spa was topped with "River Roc". 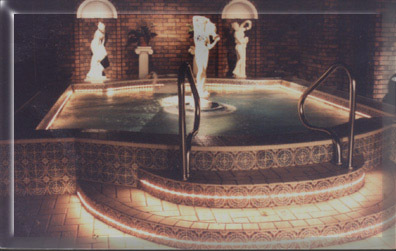 Building a great spa is Kirby's passion. We never use a blower on the jets. They are venturi only. 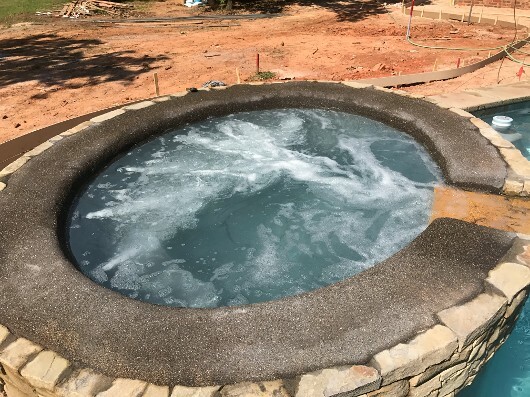 We feel this allows the air action to enter the water and not bubble up on the coping, thus keeping the water in the spa.